New! April Sessions now available! NEW! April Session Are Now Available! Learning to play hockey is more than just learning a game. More than skating, passing and stick-handling, hockey is about responsibility, respect and teamwork. As children learn the skills needed to succeed on the ice, they also build and solidify important character traits needed to succeed off the ice. 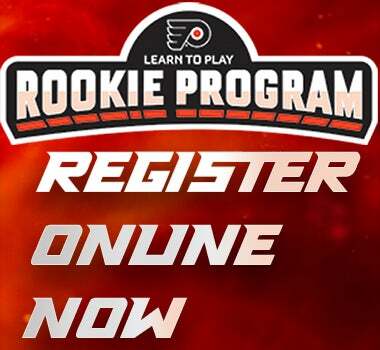 With that in mind, the Learn to Play initiative was developed jointly by the National Hockey League and the NHL Players’ Association to offer more families a chance to experience everything that makes youth hockey so rewarding. Developed with the help of experts from USA Hockey and Hockey Canada, the Learn to Play initiative aims to be the gold standard for youth hockey programs with the goal of inspiring more families to join the hockey community. Learn to Play changes the way youth hockey is offered by providing first time participants, between 5–9 years of age, free head-to-toe equipment, age appropriate instruction and certified coaching, led by NHL Alumni, in a fun and safe atmosphere. For more information, check out our fliers or register your child now online!